God has blessed us with many gifts—the greatest being His only Son, Jesus Christ. 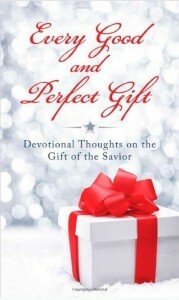 This new devotional celebrates “every good and perfect gift” from the heavenly Father. Ideal reading through the Christmas season—or at any time of the year—Every Good and Perfect Gift provides 31 encouraging, easy-to-read devotionals that turn your thoughts away from the stress and busyness of this world to the beautiful love, joy, and peace of heaven. Be reminded of God’s great love for you through Jesus Christ. . .and find your life refreshed and renewed all year long.